Get the Full StoryWho is on the Canelo Alvarez vs. Gennady Golovkin 2 undercard? A few familiar names and one rising talent, that s for sure. Believe it or not, when Canelo Alvarez and Gennady Golovkin have their rematch on September 15th, it ll be the first time all year that either HBO or Showtime has broadcast a boxing pay-per-view event in 2018. With less than a month to go before fight night, we know what the key undercard matchups look like. Boxing pay-per-views at least the ones in the United States come with a reputation for having comparatively weak undercards compared to a UFC event. For Canelo vs. Golovkin 2, it is pleasantly not the case. 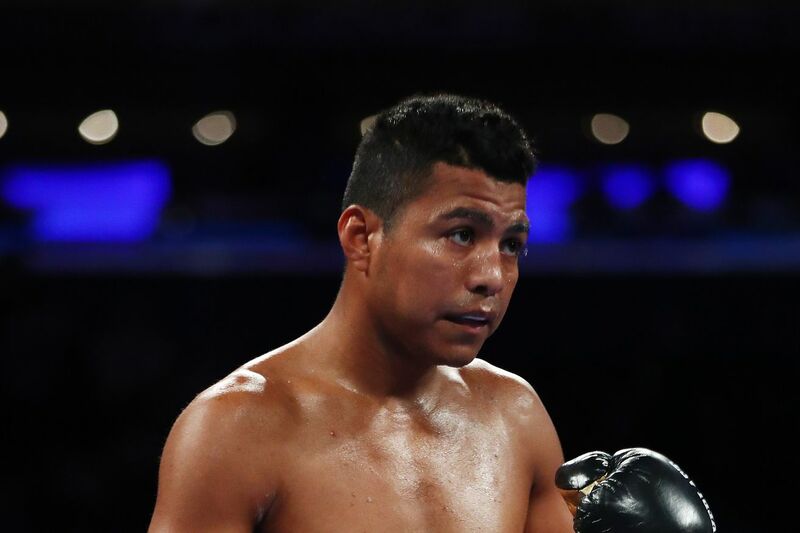 The event is slated to feature rising phenom Jaime Munguia 30-0, 25 KOs defending his WBO junior middleweight title against Canada s Brandon Cook 20-1, 13 KOs . Munguia is a highly touted 21-year-old prospect out of Mexico who d entered 2018 having fought no one of note, and his name was brought up as a potential opponent to fight Golovkin in May after Canelo s drug test failure nixed the original rematch booking, but the Nevada Athletic Commission nixed that idea. Munguia then stepped up on short notice to fight then-champ Sadam Ali, wiped him out in four rounds, and successfully defended his title in a slugfest against another ex-champ in Liam Smith. Munguia is on a Donald Cerrone-esque schedule, as this is his fifth fight of 2018, and he only made his pro debut in 2013. Cook is pretty much a step down from Smith and Ali, but he s a good fighter whose lone loss came in a thriller against Kanat Islam. Given how inexperienced Munguia is against genuine high-level competition, it s probably best to slow his roll even though he s a champion, as he s a fan-friendly boxer but doesn t appear to be quite ready for the elite of 154 lbs. In theory, this is a showcase fight to introduce fans to Munguia as a potential new star. Also on tap is a surefire middleweight brawl between former IBF champion David Lemieux 39-4, 33 KOs and Ireland s Spike O Sullivan 28-2, 20 KOs . Both men are known for being aggressive and not really being good defensively, and really this is a chance for O Sullivan to get a world title shot, while Lemieux is trying to hang on to contender status less than a year removed from an embarrassingly one-sided loss to Billy Joe Saunders. Lemieux would ve been an easy pick a few years back, but that may no longer be the case. On the topic of former champions, Roman Chocolatito Gonzalez 46-2, 38 KOs returns to action against Mexico s Moises Fuentes 25-5-1, 14 KOs , who was formerly the WBO minimumweight champ. Gonzalez has been out of action since consecutive losses to Srisaket Sor Rungvisai, with the rematch leading to a brutal KO. He was slated to return in May, but Visa problems prevented the Nicaraguan from entering the US. Fuentes is coming off a first-round KO loss against the talented Japanese power-puncher Daigo Higa. This matchup will be contested at super-flyweight 115 lbs , and should be a good litmus test to see how much Gonzalez has left in the tank, especially against a smaller fighter. Lastly, undisputed women s welterweight champion Cecilia Braekhus 34-0, 9 KOs returns to action for the third time this year, putting all four major titles on the line against Aleksandra Magdziak Lopes 18-4-3, 1 KO . It is very possible that this fight will actually serve as a PPV lead-in on a live-streamed undercard. Braekhus is considered the best women s boxer in the world, and there s been interest by UFC champ Cris Cyborg to cross over to boxing to face her at some point. In May, Braekhus became the first woman to ever have her fight televised live on HBO, as she recovered from a knockdown to beat Kali Reis by decision. To summarize: Three title fights main event included , the return of Chocolatito, and a potential 12-round war between Lemieux and O Sullivan. If you took away Canelo and Golovkin, this would be a pretty fun regular HBO tripleheader. Golovkin and Alvarez will compete for GGG s WBA and WBC middleweight titles at the T-Mobile Arena in Las Vegas, Nevada. The HBO PPV broadcast begins at an early start time of 8 PM ET 5 PM PT.